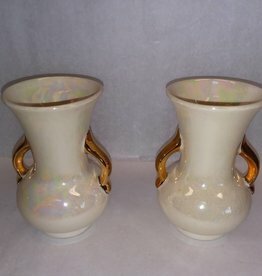 Default Popularity Newest products Lowest price Highest price Name ascending Name descending All brands American Artworks, Inc.
c.1886. 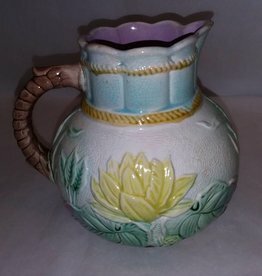 Samuel Lear "Pond Lily Rope" Pattern Majolica pitcher. Probably Henley England. Numbered on bottom. Excellent condition & colors. 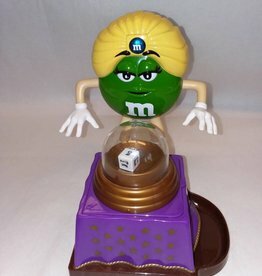 7" tall. 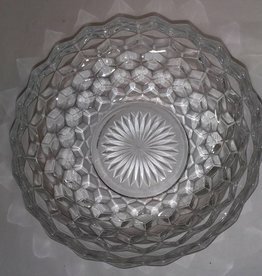 1950's, Fostoria American pattern glass bowl, Pressed glass. 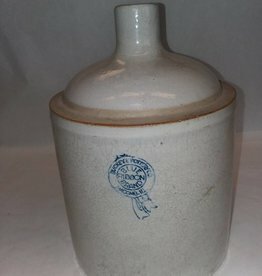 Excellent condition.8.5"
c.1930, Buckeye Pottery, Stoneware jug, Blue Ribbon brand, Nice blue graphics. 1 gallon. 1 very small chip at opening (during firing) & 1 at base. Very good condition overall. 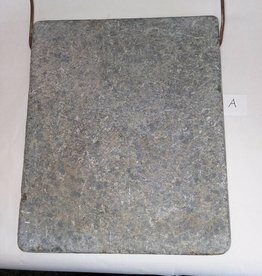 c.1930, soapstone, bed/foot warmer w/bail handle, 10x12". 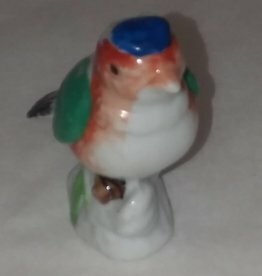 Approximately 1.5" thick. 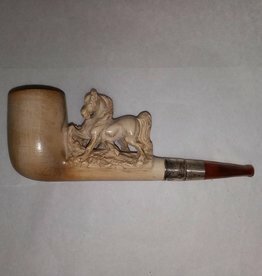 Meerschaum Pipe w/Horse, Original Case, L.1800's, 5.5"
c.1900. 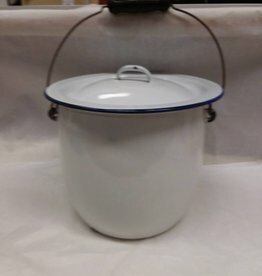 White enamelware chamber pot w/blue trim. Includes lid. c.1930. 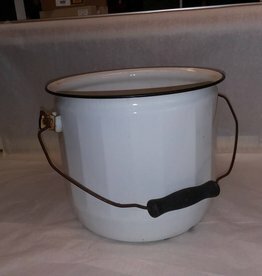 White enamelware chamber pot. No lid. Bail handle. 10.5" x 8.75". 1960's. 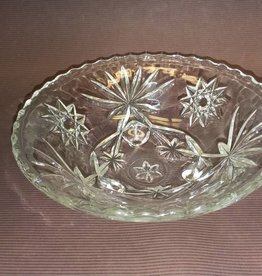 Pressed glass, footed, open candy dish. A few minor scratches but overall in very good condition. 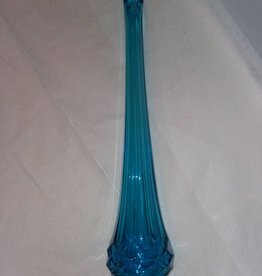 6.75" diameter.